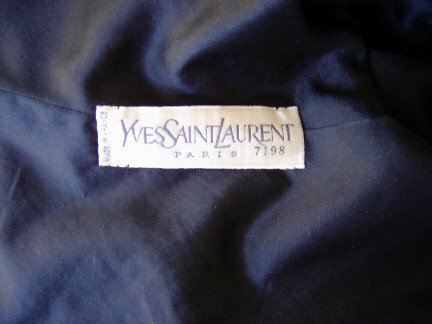 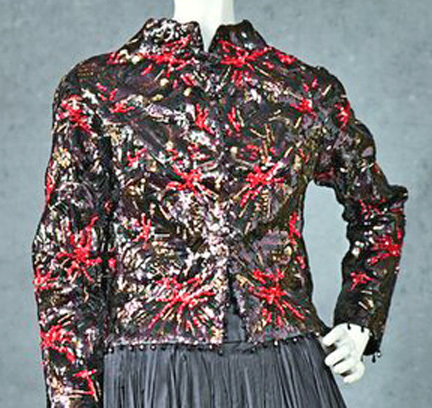 Early 1960's probably first line YSL Couture Evening jacket of black silk embroidered with variegated sequins in a custom motif suggestive of branch coral on the ocean floor or suggestive of a modern art interpretation mastered through 3 dimensional dense embroidery and beadwork by the House of Lesage. 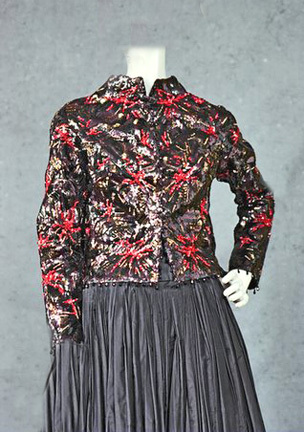 Jacket features high neck, frontal hook closure, dipped back. 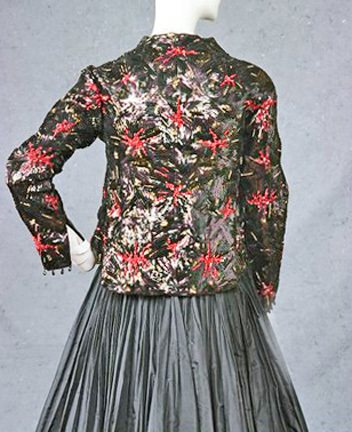 Jacket is considered to be a museum piece but is also quite wearable. 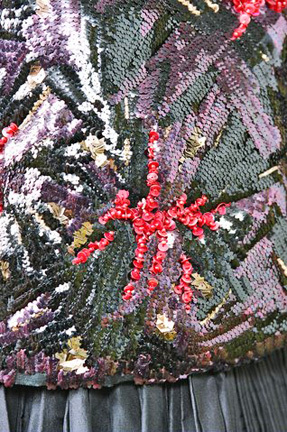 Condition: excellent; beadwork has been tightened and strengthened however, that is not to say some may fall when worn.